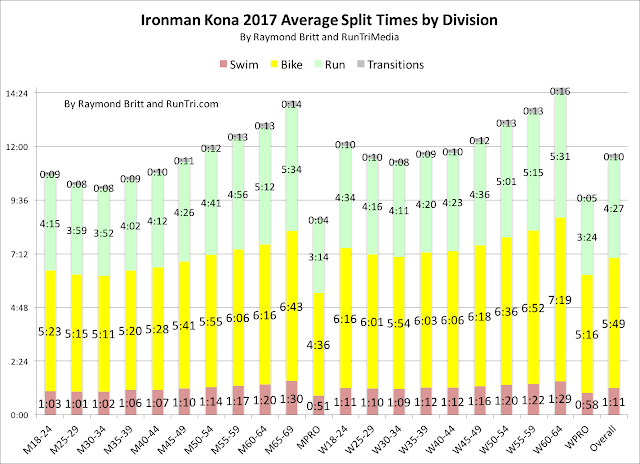 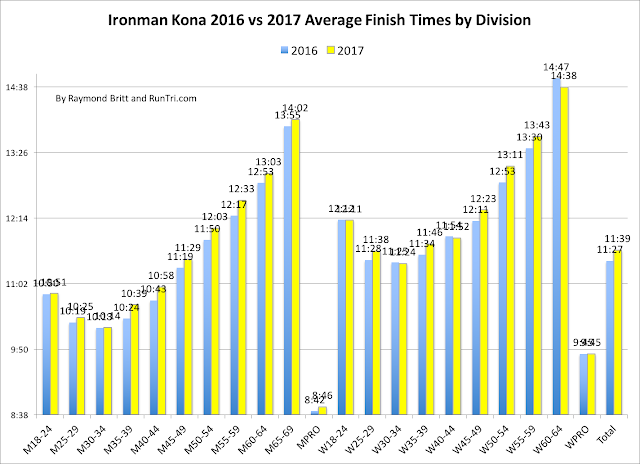 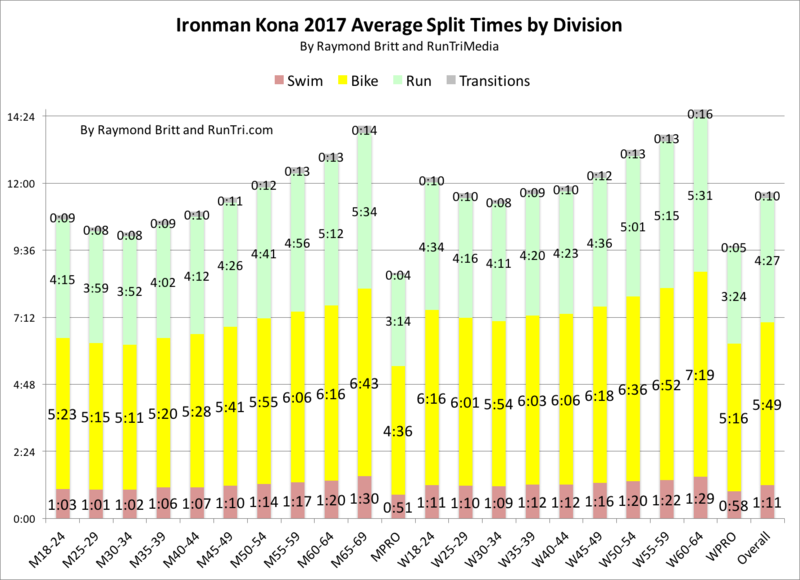 Ironman Kona 2017 saw a record 2235 athletes cover the grueling 140.6 mile course, finishing in an overall average time of 11:39. 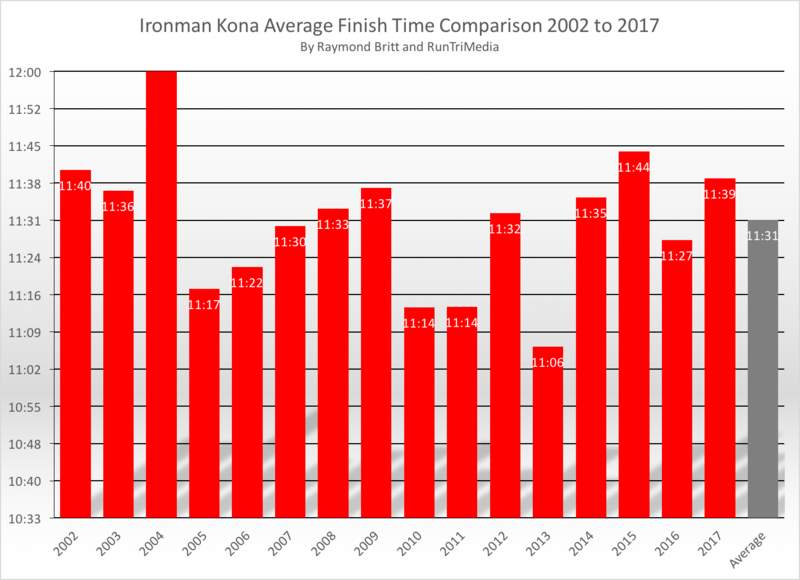 But it was a long way from what would be considered fast, a full 25 minutes slower than the wind-aided 11:06 average time turned in by finishers in 2013. 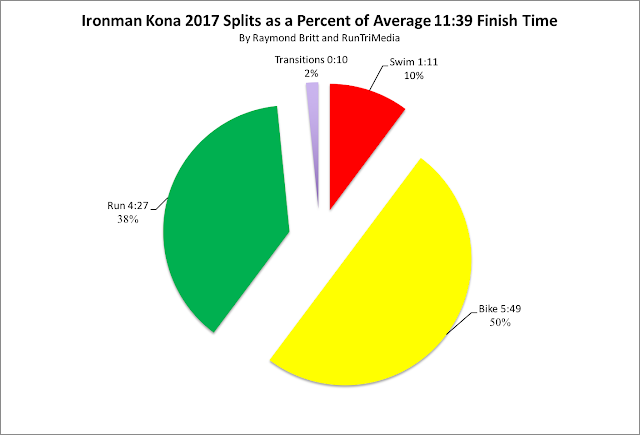 We dove into details of the 2017 race, overall, by split, by division, and did side-by-side comparisons across each dimension going as far back as 2002. 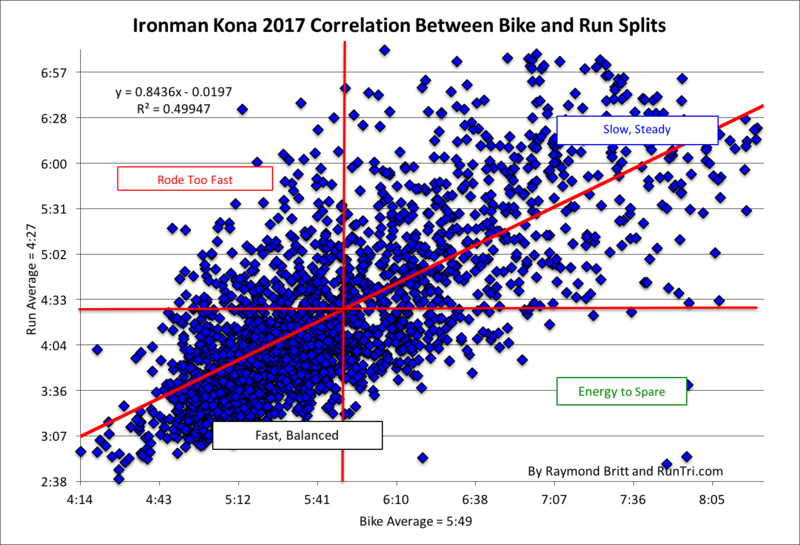 For extra credit, we conducted a bike vs run correlation analysis, illustrating the degree to which bike speed strategy impacted run splits for each athlete. 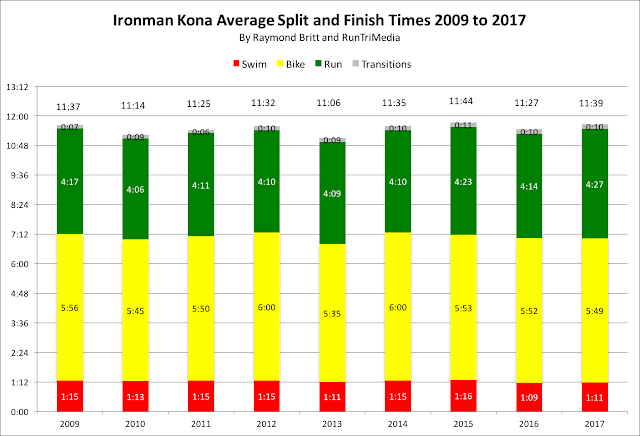 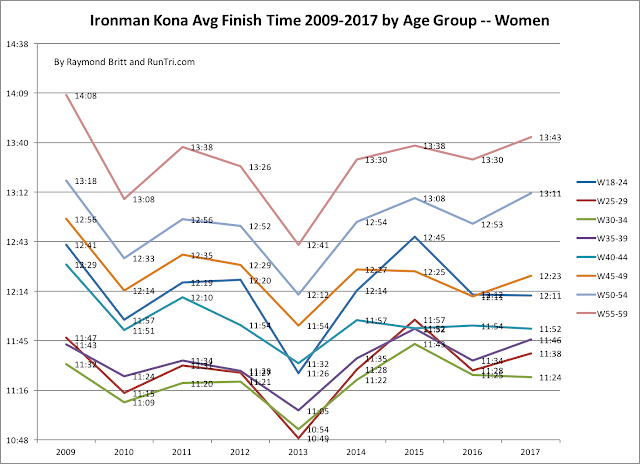 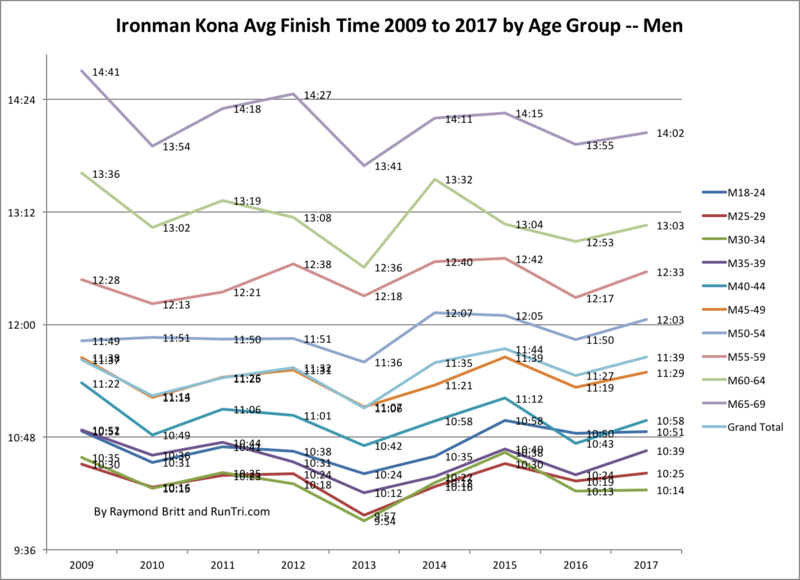 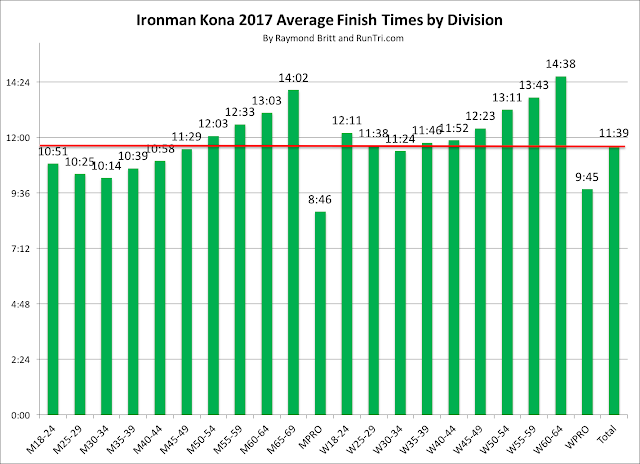 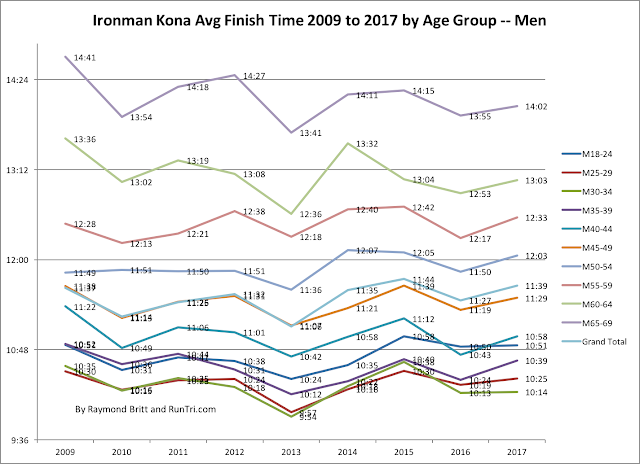 For more, see our Comprehensive Historical Ironman Kona Coverage.